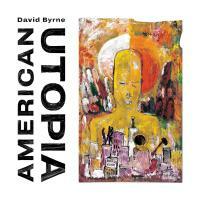 Titre(s)American utopia / David Byrne. Editeur(s)New York : Todomundo, P 2018. ContientI dance like this. - Gasoline and dirty sheets. - Every day is a miracle. - Dog's mind. - This is that. - It's not dark up here. - Bullet. - Doing the right thing. - Everybody's coming to my house. - Here. Inrockuptibles No.1161 p.62 du 28/02/2018. - Télérama No.3557 p.68 du 14/03/2018. 3/4. - Rock & Folk No.608 p.72 du 22/03/2018. 3/5. - Magic No.208 p.21 du 19/04/2018. - New Noise No.44 p.91 du 20/08/2018. 5/10. - Sélection FIP de Mars 2018. 20/20.